Universal to launch massive iTunes killer? Might Apple soon find itself with some real competition from the major labels? Or is this just a flash in the pan? The world's biggest music labels are hatching a plan to oust Apple's iTunes from the top spot in the digital music downloads market. 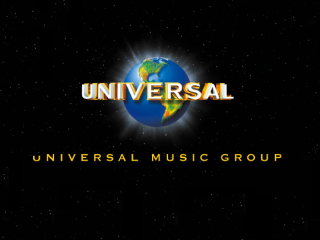 Universal Music chief Doug Morris devised the plan to team up with Sony BMG and Warner Music to launch a unified subscription-based music service. Universal recently refused to renew a deal to allow all its music to be accessible via iTunes and ever since there have been rumours that it was planning a big download store of its own. It turns out that this rival will be called 'Total Music'. Total Music to kill iTunes? It's reportedly already signed up Sony BMG to the deal and is currently in talks with Warner Music to make sure that the 'big three' can present a unified front against the market-leading iTunes store. According the Business Week, the proposed store would come with a unique business model. The idea is that the record companies would sign up some of the major MP3 player manufacturers like SanDisk and Creative. Once that is done, the hardware companies would be asked to pay the labels a fee per month for every player they sell. A fee of five US dollars per month is an estimation. In return, the people who purchase the associated players - the new Creative Zen, for example, might be one - would get unlimited music downloads from the catalogues of signed-up labels. This incentive would help hardware companies sell more players, and would make labels more money through revenue. This model completely excludes Apple with its iPod and iTunes setup. No details on when the Total Music service might launch, but a late 2008 release date might be a place to start.